Brand marketers know that when they put the word 'SKINNY' on their product, they're bound to get a lot of interest from passing shoppers. And without a doubt, I'm one of them. Nevertheless, I’m always sceptical until I’ve read the nitty gritty nutrition details as it's often the case that they’re not really skinny at all! 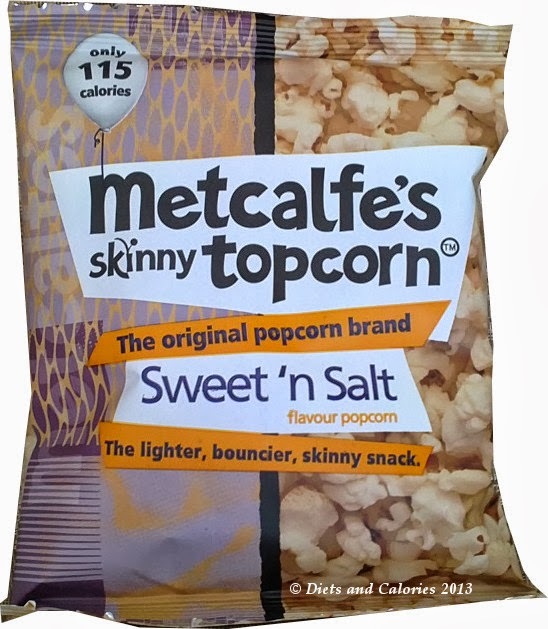 So it was when I spotted this popcorn snack by Metcalfe’s while I was doing an online Ocado shop. There were two varieties available: Sea Salt or Sweet ‘n’ Salt. Having a sweet tooth, I opted for the Sweet ‘n’ Salt with 115 calories per bag. 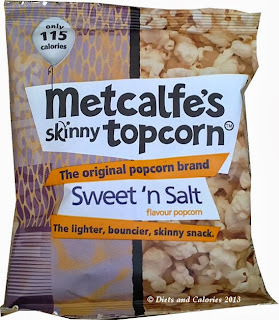 Metcalfe’s Skinny ‘Topcorn’ is called ‘The Original popcorn brand’, though I must admit I hadn’t heard of them. The pack is quite a large 25g and contains a good portion of popcorn. It does look like you get a lot for your 115 calories. Looking at the ingredients, it’s thankfully not too long. 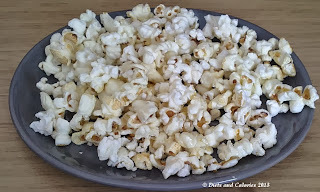 The Sweet ‘n’ Salty contains popped corn, sugar, vegetable oil and salt. Opening them up releases a deliciously sweet popcorny smell, like you find in the cinema. It’s clear to see which ones are sweet and which are salty as the sweet ones have a yellow colour and are slightly crunchier. But the saltiness rubs off on all of them and the result is totally yummy. It’s not easy stopping once you get started, but they do last a long time (if you don’t eat handfuls at a time)! But are they really any ‘skinnier’ than other regular shop bought popcorn? 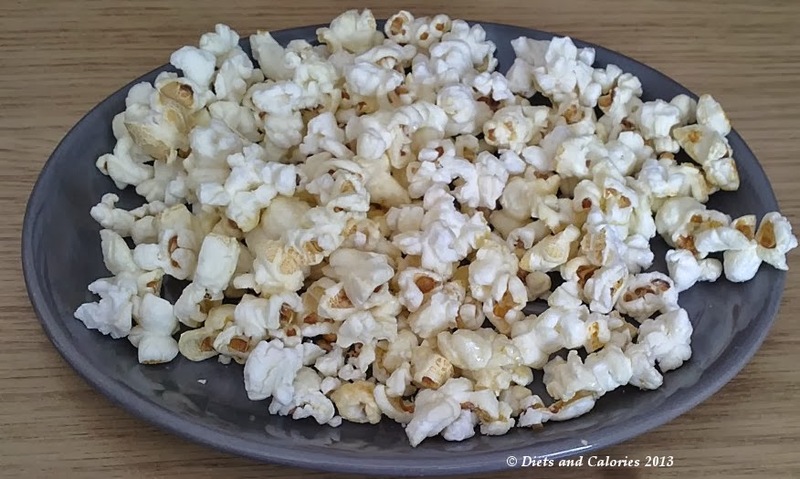 I took a look at the calorie details of some other branded sweet and salty popcorn packs by comparing like for like quantities per 100g. 460 calories per 100g / 115 calories per bag. 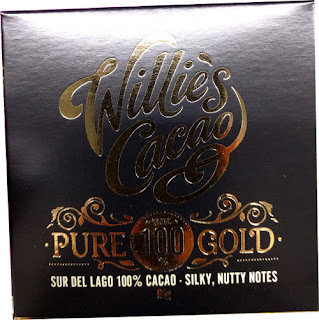 428 calories per 100g / 128 calories per bag. Levels of fat and sugar are quite similar for all, but Propercorn’s fat content is the lowest. The main problem when it comes to actually eating them, is that all pack sizes aren’t the same. 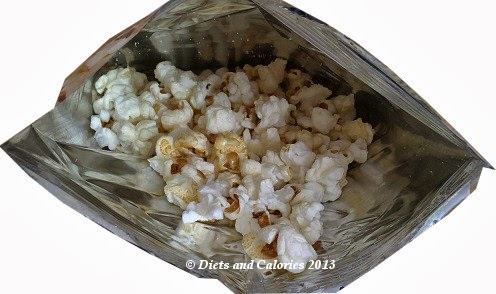 So even if you opt for a lower calorie popcorn and it comes in a bigger bag, it’s unlikely many of us would bother with measuring out an exact portion size. As for the question – is Topcorn any skinnier than other comparable flavour popcorn snacks, I would have to say no. 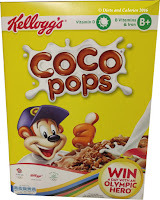 It is, however, packed in a suitable portion size which can really help to reduce overeating. 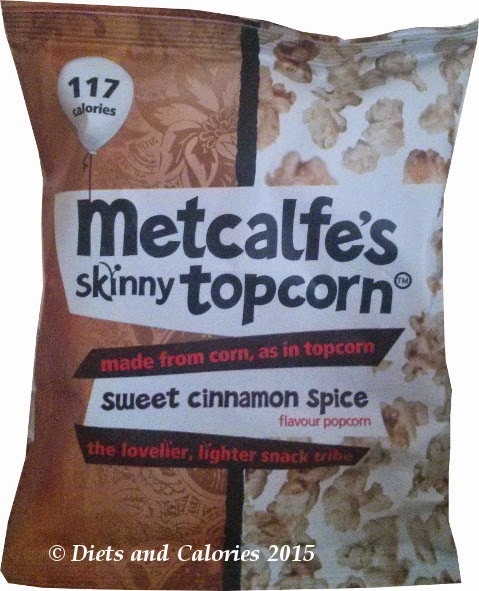 Other flavours available in the Metcalfe’s Topcorn range include: Chocolate Crackle, Heat n Sweet, Wasabi Glaze and Sweet Cinammon Spice. 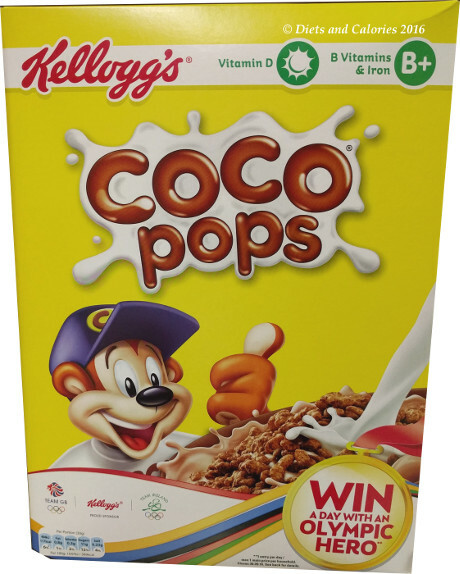 They’re sold in a range of outlets including Tesco, Sainsbury, WH Smith Waitrose, Greggs and Café Nero. Some varieties are also available in a sharing bag, 75g or 80g. Nutrition Information per bag: 115 calories, 1.6g protein, 17.8g carbs, 4.9g sugar, 4.8g fat, 0.8g saturates, 2.9g fibre, 0.34g salt.